With some instructions from Jokay, I was able to configure the Firestorm OpenSim viewer to log right into the build of Nevermore, transported (far as I can tell) seamless from hosting by Reaction Grid to Jokay's new host. The transition was really smooth, though Roderick rezzed as Ruth (quickly fixed). I've now saved his usual outfit as an outfit, replete with skin, shape, hair, AO...something I've long done with Iggy in Second Life but just forgot in OpenSim. My plan would be to use Jokay's grid as my Lifeboat in case the looming changes in the SL viewer render our campus desktop Macs and PCs unable to run their latest client. 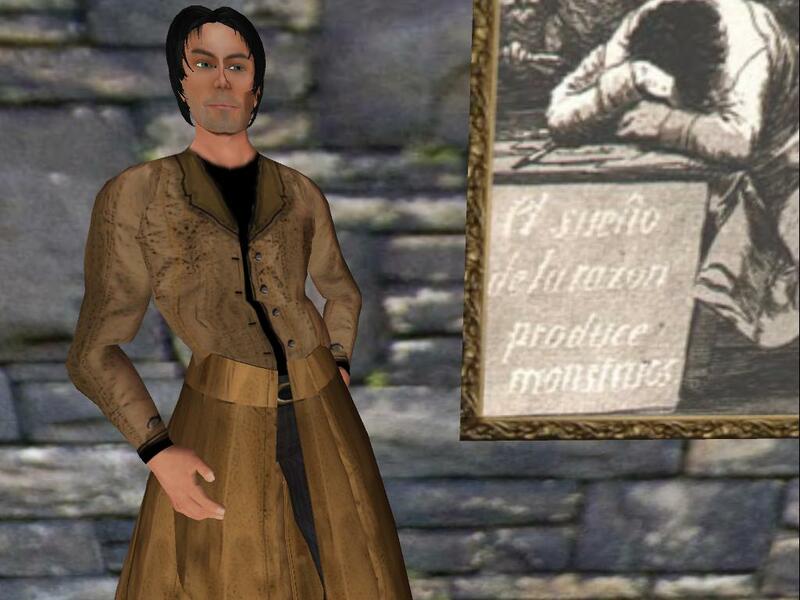 Stay tuned for more about the plant to use SL, one final time, for what may be my last hurrah in virtual-worlds teaching: my final exam suing the SL build of the House of Usher simulation/improv for the History of Cyberspace course. Impressed by your persistence and hard work. Hope your students appreciate you, even if it's only a few. About 25% of the ones I see are really engaged in every course they take, and another 50% can be motivated and even have fun. The other 25%? Fear combined with a friendly manner teaches them that they have earned their subpar grades and that no one "deserves" any grade. It should never be personal when a low grade gets assigned, but they will be.